Cafe Studio is an amazing state-of-the-art lounge with plush interiors and chill vibe. The menu is pretty versatile and has to offer a lot to its patrons. Mostly global and fusion, they are a gorgeous ensemble of chic and jazz. Try their cold soups, crunchy salads, coolers or their nutty phyllo pouches. Intriguing huh? They will have you hooked with their Thai coconut and ginger soup, garden greens and tofu broth, Moroccan chickpea and couscous salad and much more. You should try their wide range of mains that the cafe has to offer. A few of those would be broccoli and ricotta cigars, Balinese satay chicken, chicken ala grecque, creamy herb salmon with greens and wild rice. To end that amazing meal, try their chocolate & orange indulgence or coffee praline parfait. It's divine! The interiors are really pretty with cute frames, and basic walls so you might want to take all the selfies that your heart craves. 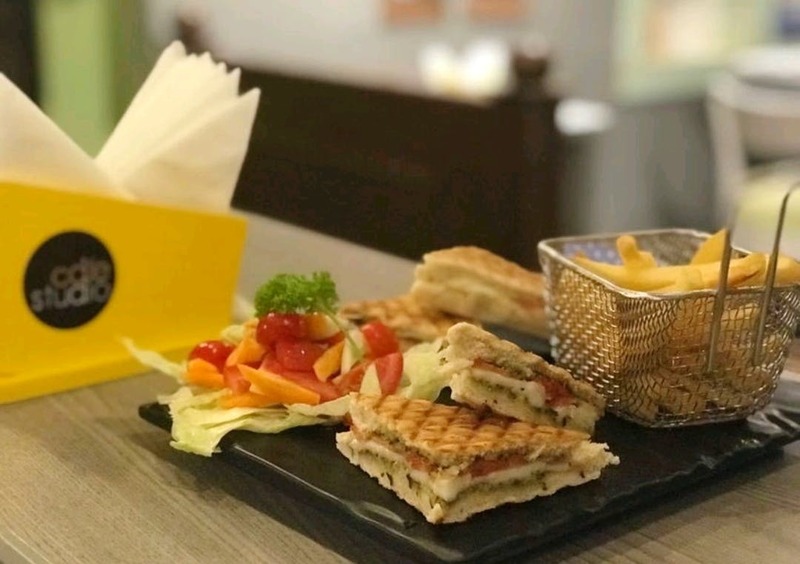 Calling All The Health Conscious Folks, This Cafe Serves Some Delish Healthy Snacks! Relish International Cuisines? You Are Going To Love This Place!